How long can you stay in Machu Picchu? Machu Picchu was about to be included in the List of Patrimony in Peril by the United Nations Educational, Scientific and Cultural Organization (UNESCO). With the ultimatum given and two years to improve the conditions of visit in the Inca city of Machu Picchu. There have been many changes with the new regulations of visits and one of them is that, has established the time that can remain in Machu Picchu. The time you can stay in Machu Picchu will depend on the ticket Machu Picchu of your choice. We recommend booking Machu Picchu tickets that include the mountains, these will allow you to extend the time you can stay inside Machu Picchu. The Machu Picchu tickets available to enter only the Inca city have been divided into two groups; about 2,500 and 3,200 visitors are expected in each of the groups. Take into account that this figure includes visitors to the mountains, Machu Picchu or Huayna Picchu, to the people who enter the Inca Trail and to those who booked the ticket that includes the museum. The Machu Picchu tickets in all cases will have tolerance time. In case of entering Machu Picchu in the morning shift (6am to 12m) between 10am to 12m, you can stay in Machu Picchu for 4 hours. Those who enter the afternoon shift from (12m to 5:30 pm), will be able to enter Machu Picchu from 11 am. It allows you to tour the Inca city of Machu Picchu and see the mysterious structures that make this place, one of the most amazing of the planet and one of the 7 wonders of the world. Machu Picchu only morning shift – schedule: from 6 am to 12 pm. Length of stay: you can stay for 4 hours from the moment you enter. If you enter between 10 am and 12 pm, you will also have 4 hours to visit the Inca city of Machu Picchu. The afternoon shift in Machu Picchu is the turn we recommend. To begin with, there are many fewer people than in the morning shift, and although that is sufficient reason, know that the afternoon shift gives you one of the best moments to photograph Machu Picchu. Machu Picchu only afternoon shift – schedule: from 12 a.m. to 5:30 p.m. Length of stay: you can stay for 4 hours from the moment you enter. In case you purchase this ticket we recommend you to enter as soon as possible, to make the most of your available time in Machu Picchu. You can check in from 11am. All people must leave the Inca city of Machu Picchu at 5:30 pm. There are 200 tickets available to enter the mountain Huayna Picchu and have to be reserved 3 months before. We speak of one of the most amazing short walks in the world, in Machu Picchu. Machu Picchu + Huayna Picchu Group 1 – Entrance is from 7 am to 8 am. Length of stay: It has a time of 6 hours to visit the Inca city of Machu Picchu and the mountain Huayna Picchu. With this ticket you can enter from 6 am to Machu Picchu to be the first to enter the Huayna Picchu mountain trails starting at 7 am, you will have enough time to tour the Inca city of Machu Picchu. There are 200 tickets available to enter the Inca city of Machu Picchu and the mountain Huayna Picchu in Group 2. The mountain Huayna Picchu is one of the best experiences you can have in Machu Picchu, which is why you have to reserve the tickets with 3 months in advance. Machu Picchu + Huayna Picchu Group 2 – Entrance is from 10 am to 11 am. Length of stay: It has a time of 6 hours to visit the Inca city of Machu Picchu and the mountain Huayna Picchu. As you can imagine, you must enter from 6am to the Inca city of Machu Picchu to cross it, then enter the Huayna Picchu mountain trails in Group 2. The mountain Machu Picchu will take you 600 meters above the Inca city, where you can see it from different angles. It is enough to walk for 20 minutes to begin to see the excellent views of the Inca city of Machu Picchu and the fabulous surroundings of mountains around it. There are 400 tickets available to enter Machu Picchu Mountain in Group 1. Machu Picchu + mountain group 1 – Entrance is from 7 am to 8 am. 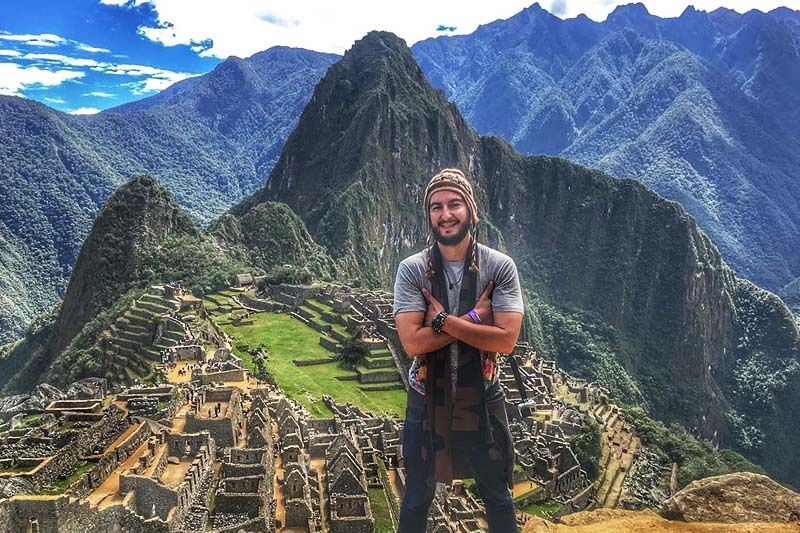 Length of stay: with this ticket you can tour the Inca city of Machu Picchu and Machu Picchu mountain for a time of 7 hours, respecting the schedules and turn of Machu Picchu. You can enter from 6 am to Machu Picchu. It is the mountain that we recommend to groups of families, friends and all those who want a beautiful hike, without having to cross vertiginous paths as in the case of the mountain Huayna Picchu. Also in a great alternative for people who did not manage to book one of the tickets available for the Huayna. There are 400 tickets available. With this ticket you can enter the Inca city of Machu Picchu from 6am, and enter the Machu Picchu mountain from 9am, the entrance is until 10am. The availability of this ticket Machu Picchu + museum will depend on the availability of spaces and shifts in Machu Picchu in Machu Picchu. In case of booking this ticket you will receive two tickets in your inbox. One to enter the Inca city of Machu Picchu and the other to enter the site museum in the town of Aguas Calientes. Length of stay : You can stay in Machu Picchu for 4 hours from the moment you enter. But you must reserve a time (2 hours) to be in the museum of Machu Picchu in the visiting hours. You must anticipate and organize the times of your visit to Machu Picchu and the museum within the visiting hours, depending on the shift you choose to enter Machu Picchu. You will not be able to enter Machu Picchu if it is not accompanied by a guide – you can hire one through info@boletomachupicchu.com. Book train tickets to Machu Picchu immediately after knowing the timetable you will enter Machu Picchu. The guides can carry a maximum group of 20 people. If you are found walking alone in Machu Picchu, you will be asked to leave. You can not enter with selfie sticks, food, drinks, umbrellas, umbrellas, animals, heels, musical instruments, baby cars… better read the list of prohibited objects in Machu Picchu. There is only one way to stay in Machu Picchu all day and that is, buying the tickets Machu Picchu for both shifts, morning and afternoon; you will need to enter at least the first time with a guide. ← What is the ticket Machu Picchu ideal for me?